Because you are here, you are probably trying to figure out how to add image border in WordPress. To begin with, let me explain shortly, how you could benefit by adding borders to images. I personally think that properly designed image borders give a website a cleaner look. Especially if you use a lot of screenshots in your articles. These cutouts look much cleaner with borders around them. That’s why I prefer using borders. And that’s how you could benefit from using them. Therefore, what I propose to do here is to provide a few simple methods to add borders to images. Life in times of WordPress 3.8 and below was easy indeed. 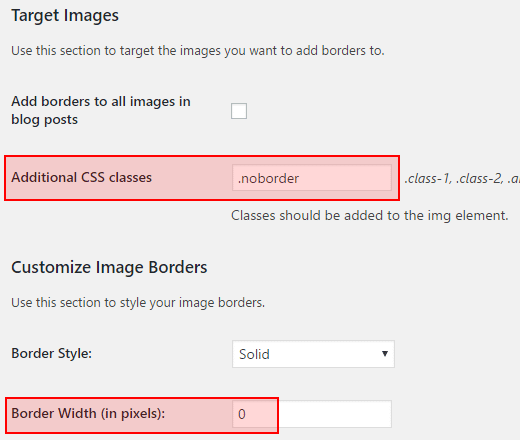 Image border options were deep in the core of WordPress. All you needed to do was clicking on the image, hit edit and choose what kind of border you wanted to add. However, with the WordPress 3.9, everything changed. 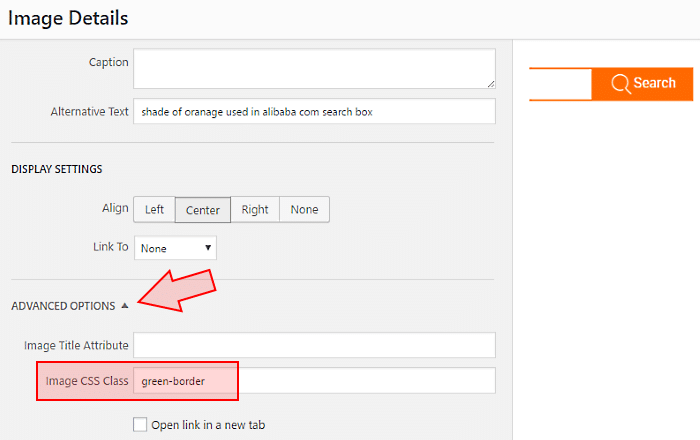 Suddenly, the border options had been removed these popular options from the core of the WordPress. This turned many WordPress users red-hot mad, of course. However, there is a sound logic behind that move. Namely, these image options added a piece of code into the inline (I’ll write more about it later). Obviously, more code makes the whole thing slower and more vulnerable to mistakes. That’s the reason people in WordPress finally decided oust the already coded border options and opt use CSS classes instead (more about this later). Which brings us to the question – How to add borders to images? That’s what I want to show you now. Keep reading. The maker of the plugin says that it requires WordPress 3.9 or higher and is compatible up to WordPress 4.4. However, with WordPress 4.6 I could not make it work. Maybe there are some incompatibility problems with my other plugins; I don’t know. You may want to try, maybe it works for you. This plugin Requires WP 3.0.1 or higher and is compatible up to WP 4.2.9. However, it works fine with WP 4.6 and WP 4.7. So I am happy with it. In fact, I am using it. It might look ridiculous now but yes – I did it manually. You know why? Because I did not know any better way adding them. And somehow, I did not have an idea to search for more efficient options. Therefore, that’s what I did. Before uploading images, I edited them in Paint.net (Photoshop alternative) and added borders manually. I still did it to get the results I wanted. Now, fortunately, I have found better ways, and I am going to show you the exact steps on doing it. So keep reading. There is a downside effect of this method, though. If one day you decide to change your website style and want to get rid of the borders, there is no other option doing that than cropping them manually. Therefore, I don’t recommend adding borders manually. Log in to your WordPress dashboard. Then, on the left-hand side menu click on Plugins → Add new → Upload plugin → Choose file. In your computer navigate to the folder where you downloaded the plugin, then hit “Open”. After the installation process of the plugin is finished, click on the “Activate plugin” link. Now the plugin is up and running. On the left-handed menu, head over to Settings → WP Image Borders. Feel free to change the border style, width, and color as you like best. If you can handle CSS you may want to use this method. That way you burden your site with fewer plugins. However, if CSS is confusing for you better use a plugin as described above. Log in to your WordPress dashboard. On the left-hand side, menu navigate to Appearance → Editor. It will open your theme’s Stylesheet (style.css). Apparently, in each case, I want that there is a border around the picture. #C0C0C0 – the hex code of the light gray shade. Again, feel free to change the border width, type, and color to your own needs. You can use the same manual technique that I described above. Only this time, you have much less work to do. Obviously, this method is manual too. Only this time you don’t edit the image but add CSS style in the HTML code. Upload and insert your image into a WordPress post. Rinse and Repeat. Add a code to every image you want to have a border. However, according to today’s web standards, this is not the proper way to do this. Technically it is correct, of course, and you can do it if you want. But please remember, lots of inline code slow your site down and can cause problems too (a small mistype here or there, and it won’t work). Install the WP Image Borders plugin as described at the beginning of this post. 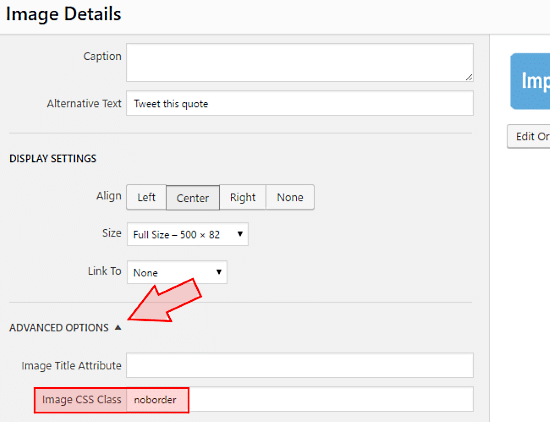 On the left-hand WordPress menu, head over to Settings – WP Image Borders. 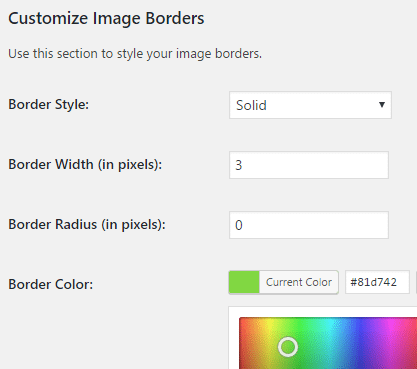 Customize your border by following the instructions given above (“How to Add Image Border Using a Plugin”). Then scroll down and hit “Save Changes.” This way you have created a new CSS class for image borders. In the “Image Details” click on “Advanced Options,” then type in the name you gave your newly created CSS class. Note! NO period in the beginning! Click on the “Update” button. That’s it. Finally, don’t forget to update your post or page. Or the changes won’t show up on your site. This is a polar opposite situation to the previous one. Instead of adding borders to only selected images, what you want is that most of the images HAVE borders and only some of them don’t. That’s what happened to me. I applied one of the techniques described above to add borders to all images. I was happy. See! It’s ugly. Therefore, how to remove borders from selected images? I added borders to all images by using Custom CSS as described above. See! I give it a name “.noborder” (with the period on the front of it). And I set Border width 0 (zero). After that, border color does not matter anymore. Was this article helpful? 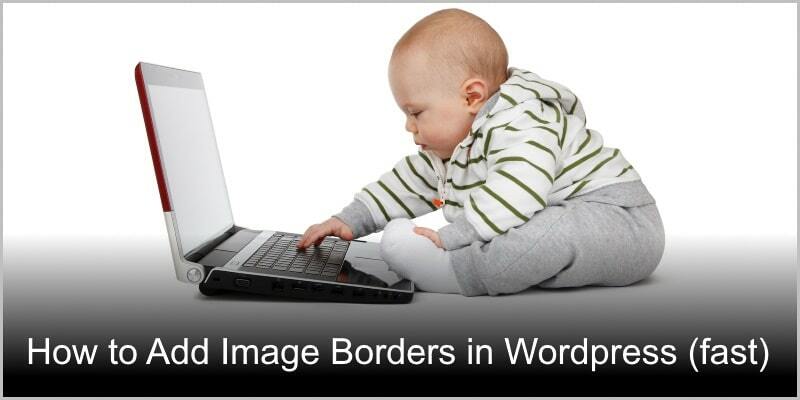 Did you learn how to add image border in WordPress? And do you know any other (more efficient) method to add or remove borders? Please let me know by leaving a comment into the comment box below. Thank you!